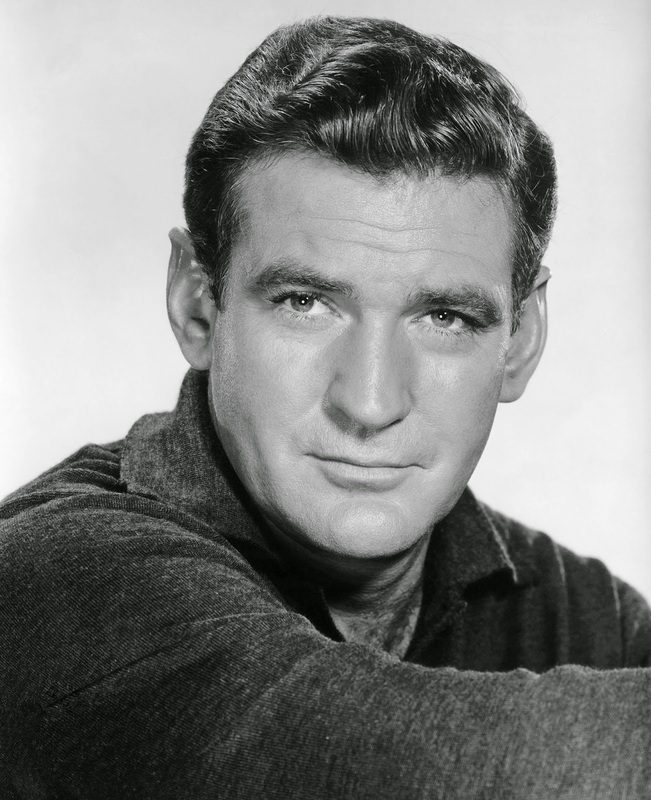 Australian actor Rod Taylor died a few days ago in Los Angeles. 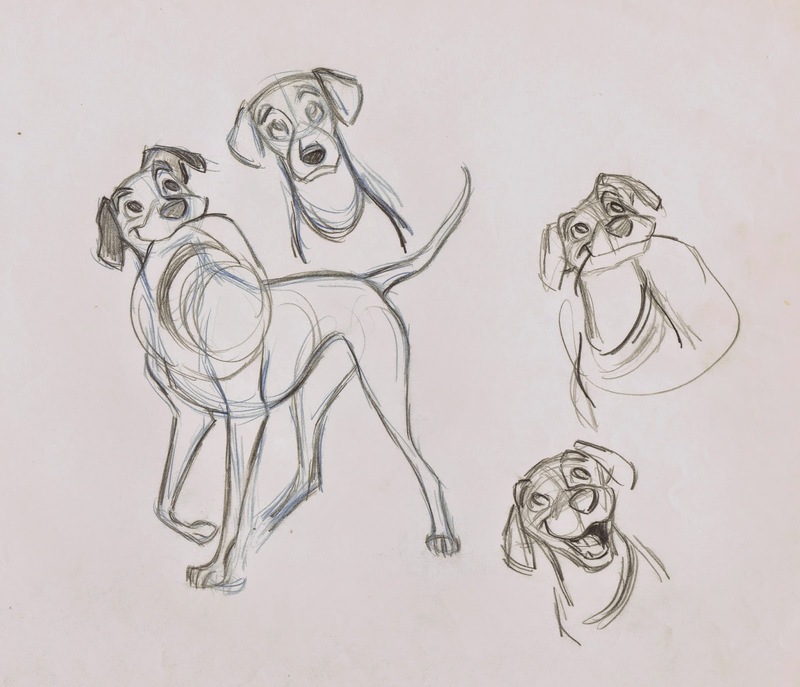 I have always enjoyed his roles in films like The Time Machine and The Birds. 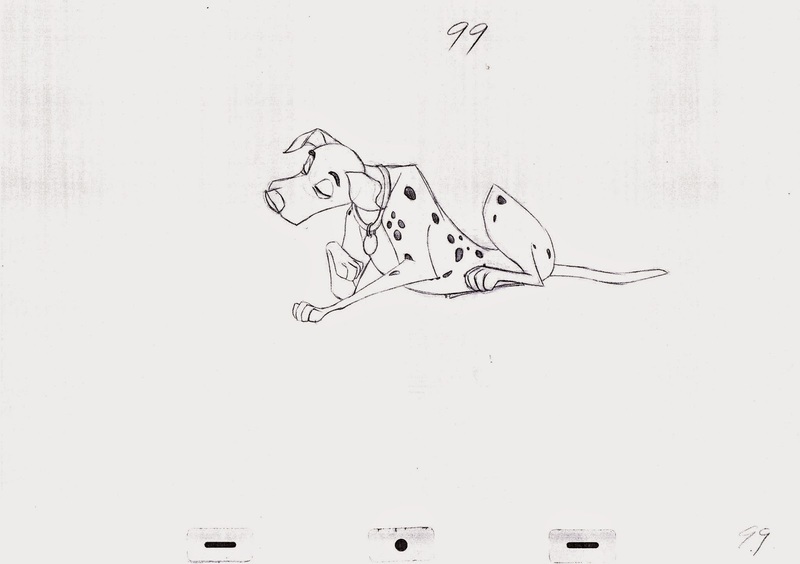 For Disney he provided the voice of Pongo in the iconic 101 Dalmatians, with a wonderful and understated performance. 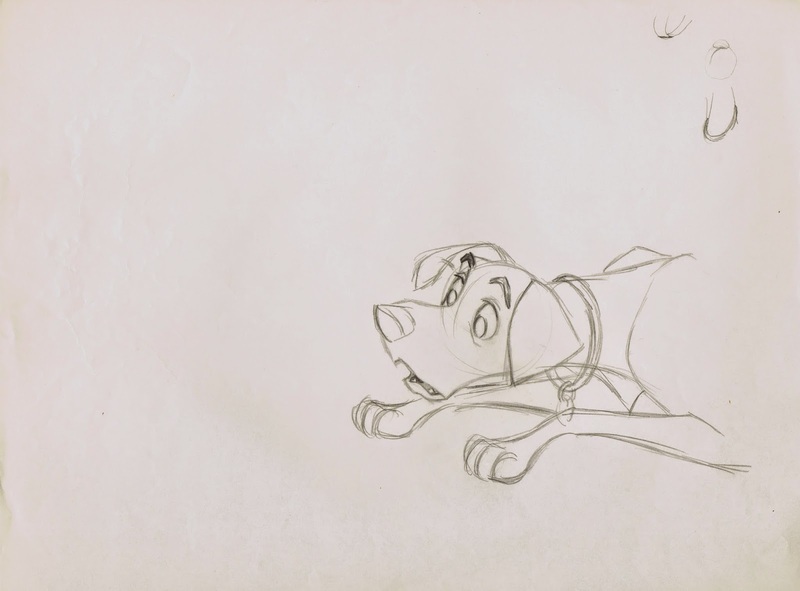 I don't know if any other actors were considered for the role, but Taylor turned out to be perfect. 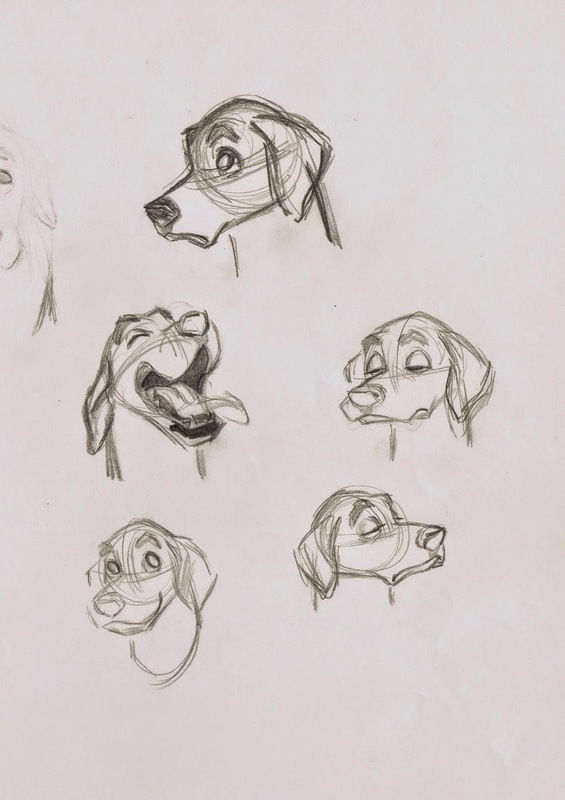 A few of Milt Kahl's many facial studies, based on the appearance of life Dalmatians, brought into the studio for observation. 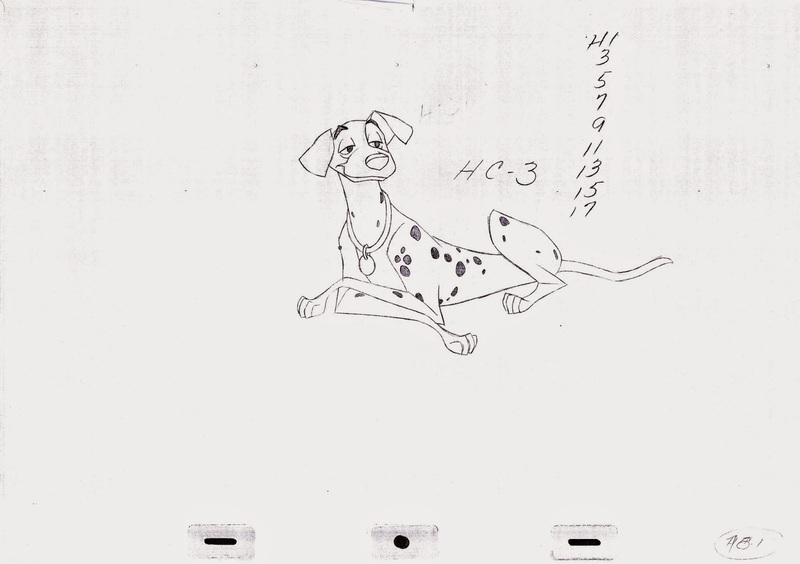 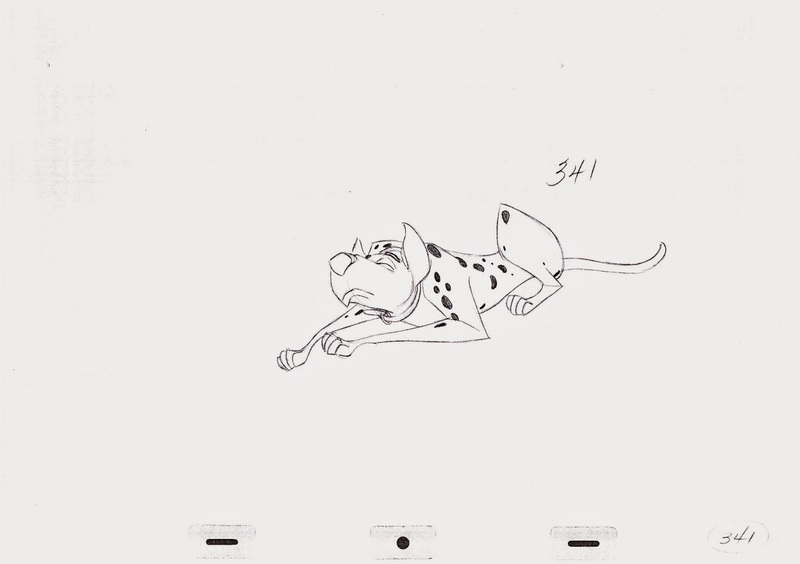 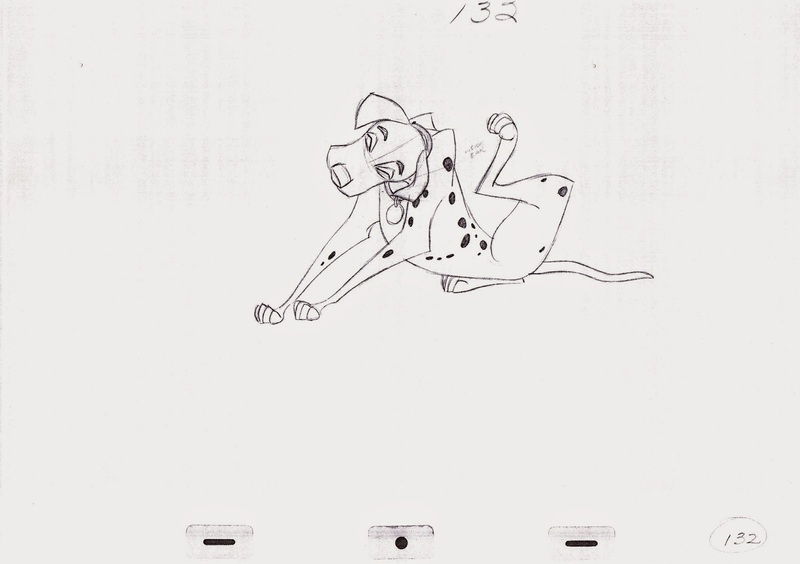 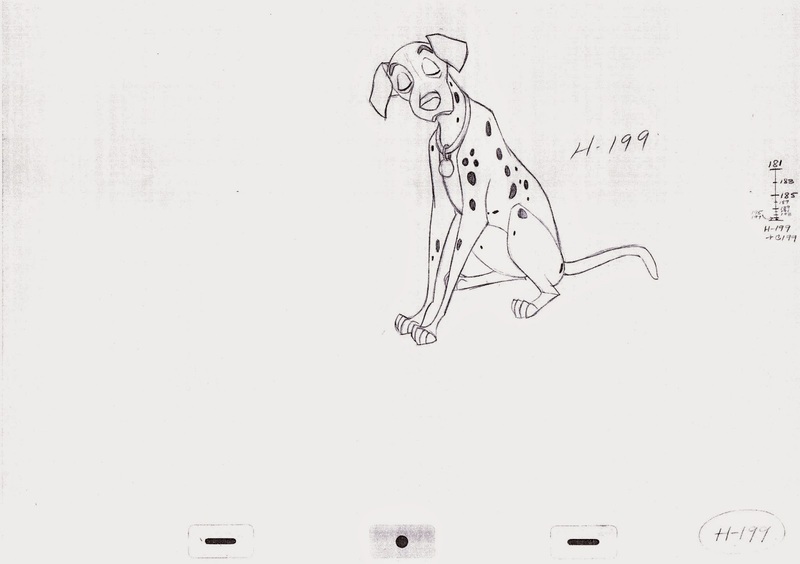 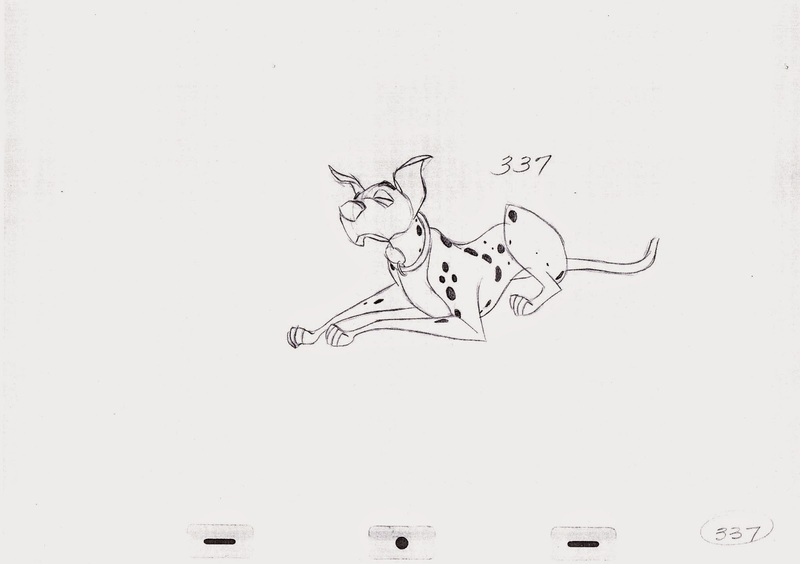 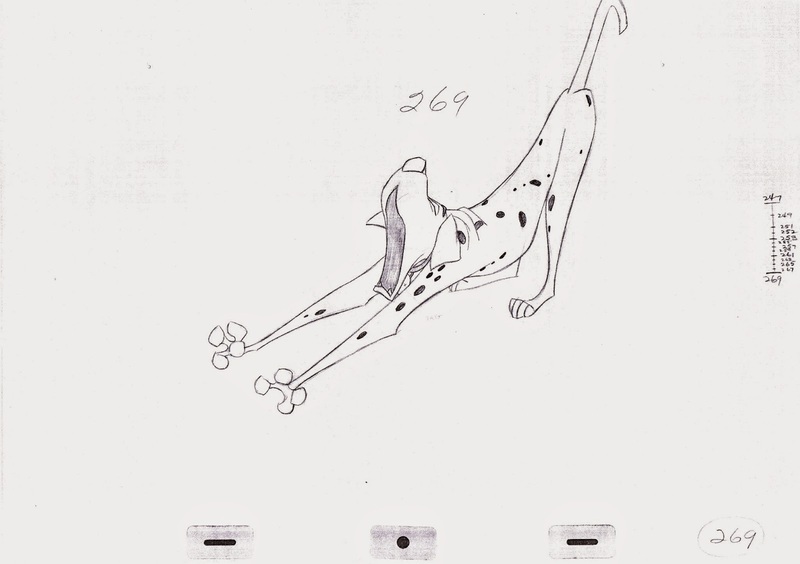 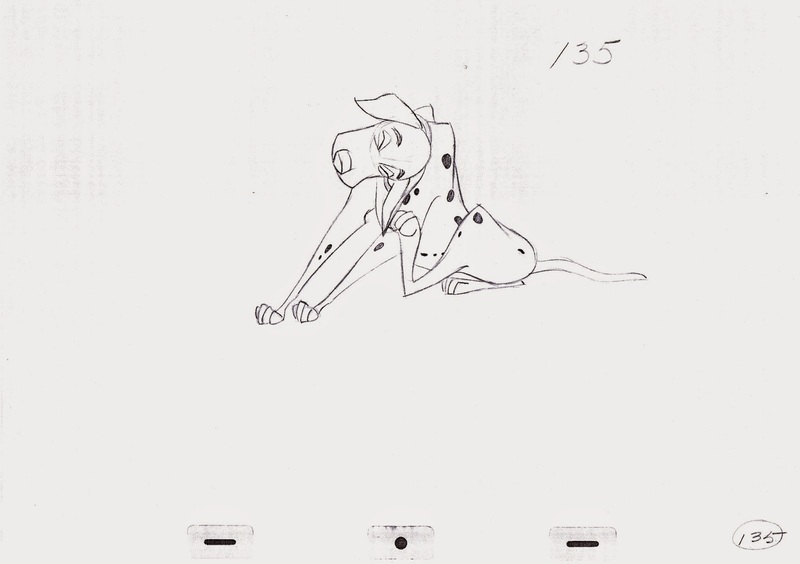 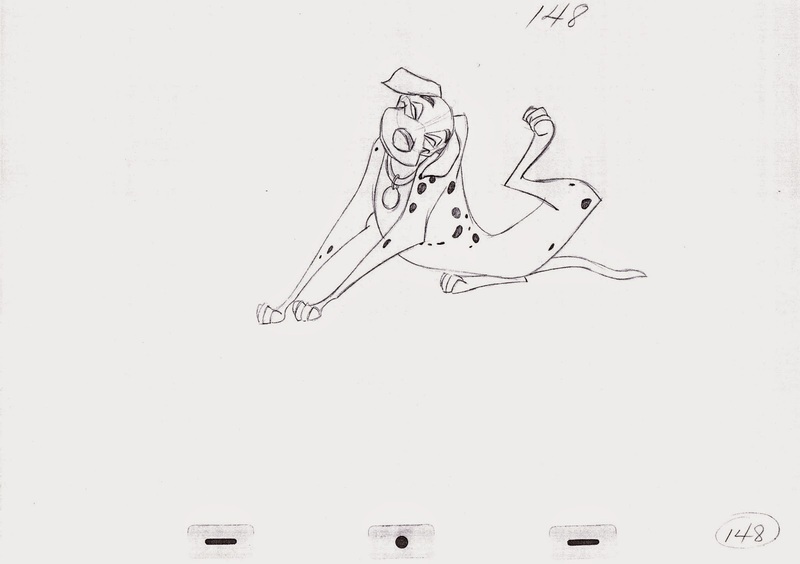 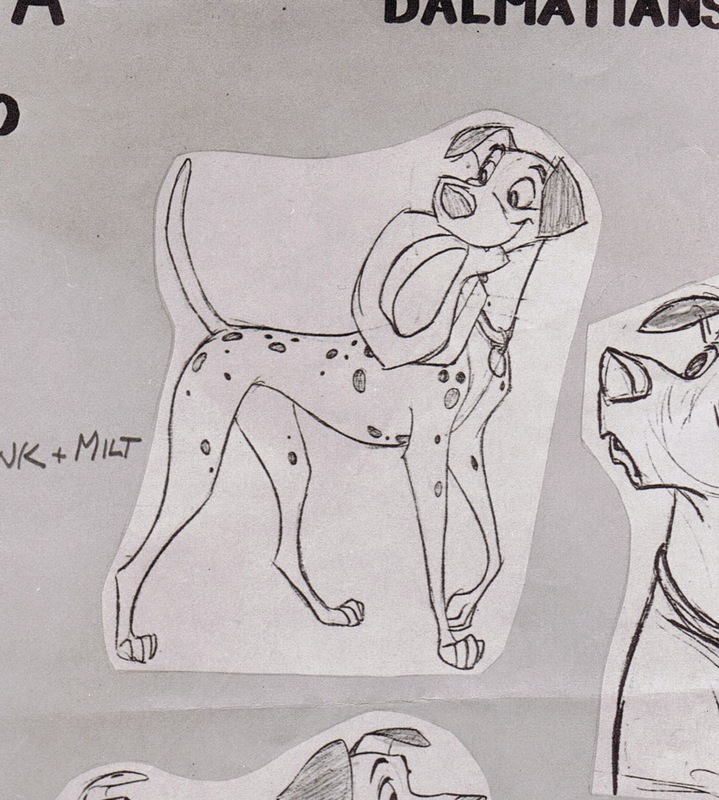 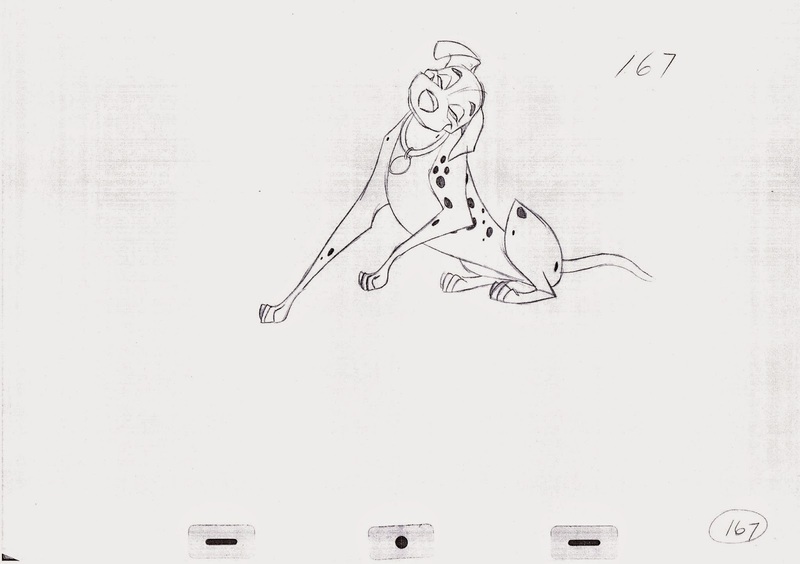 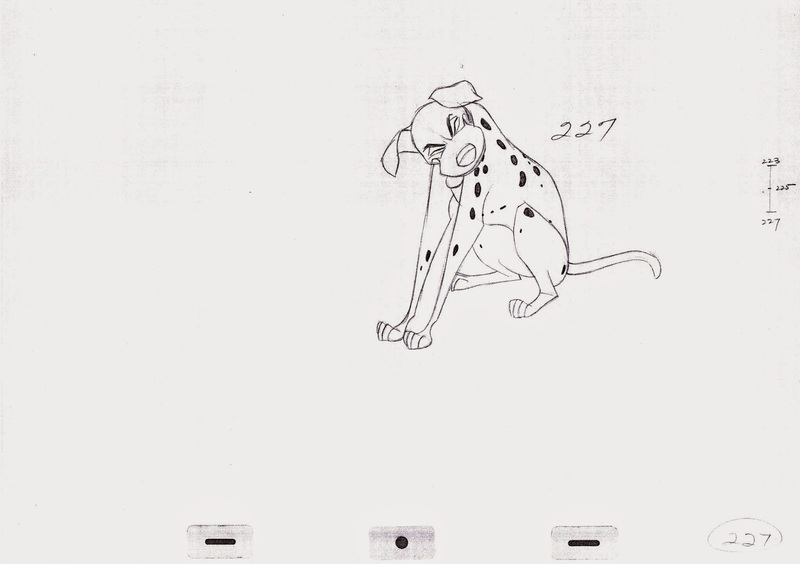 It is interesting to see how Milt tried early on to incorporate the dark edges of a Dalmatian's mouth into the design, an idea that was eventually dropped. 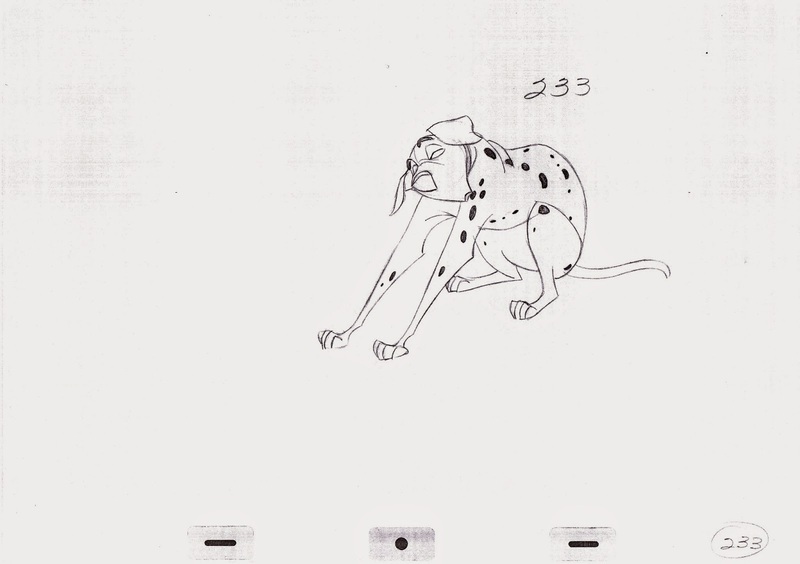 A beautiful sheet showing Pongo holding Roger Radclliff's hat. 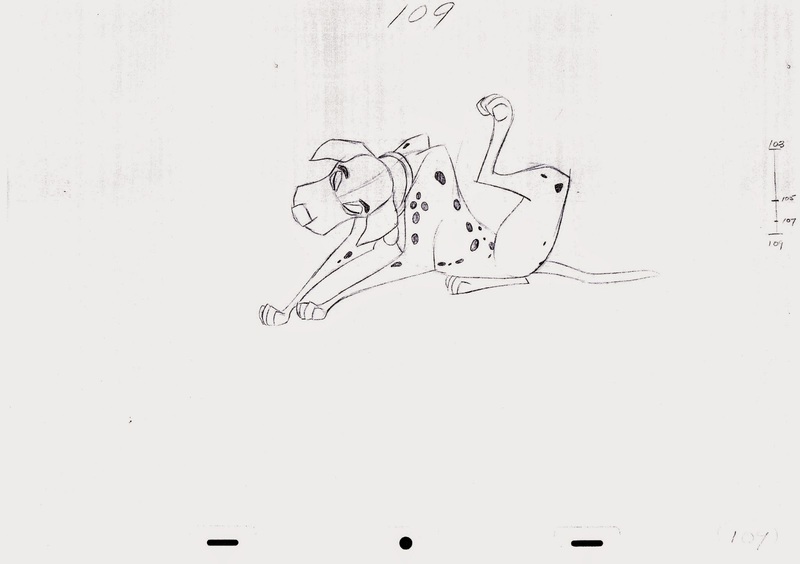 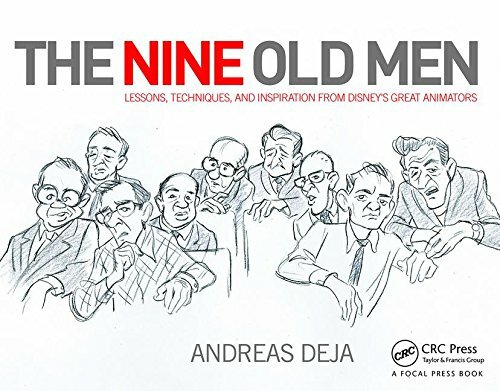 Masterful sketches, and it's nice to see that even Milt occasionally corrected himself, like re-positioning the dog's left front foot. 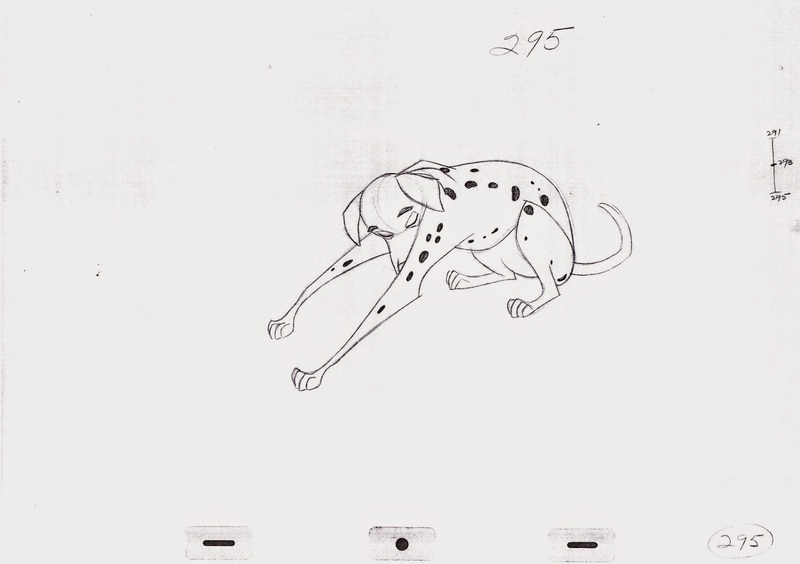 The corrected and final version of this pose ended up in the film and on the model sheet. 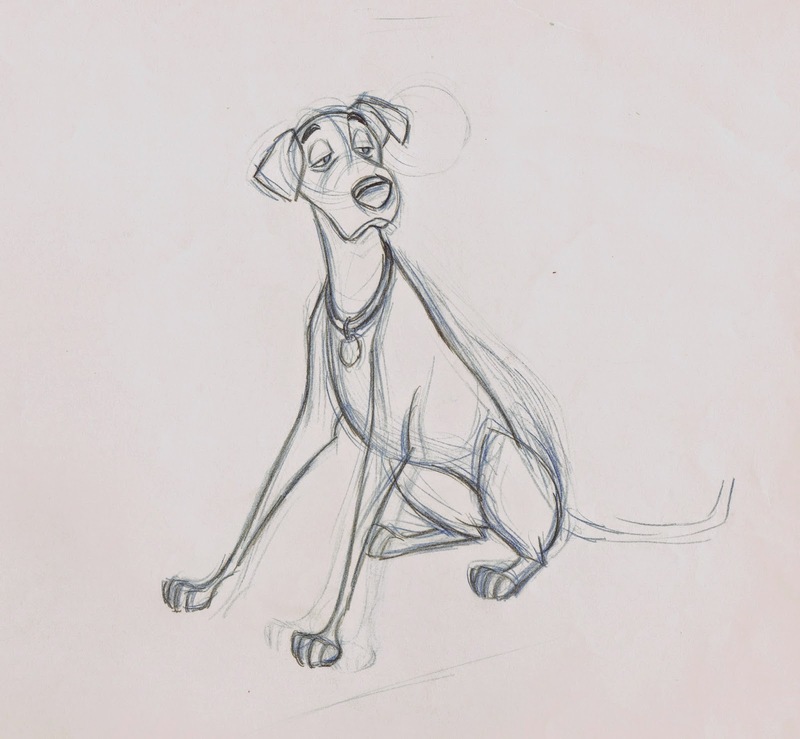 Perfect proportions and appeal! 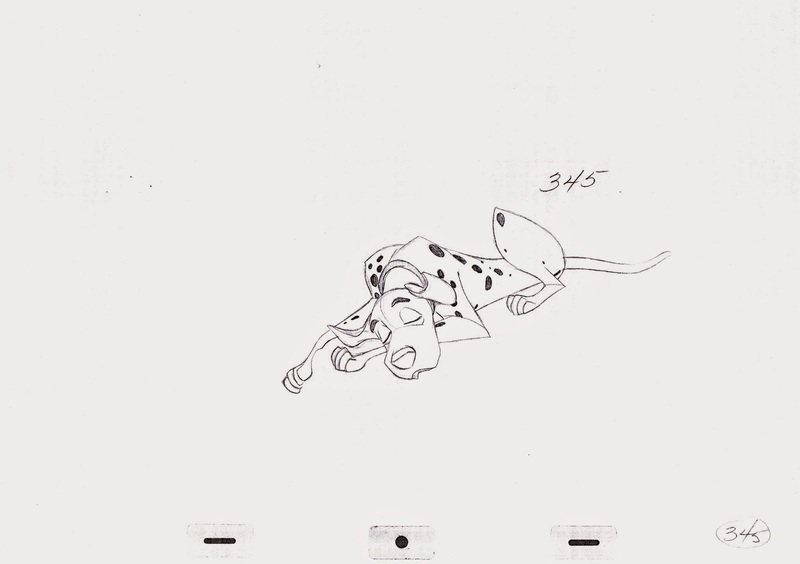 Ollie Johnston animated the melancholic sequence with Pongo as he tries to comfort Perdita, who is hiding under a stove. 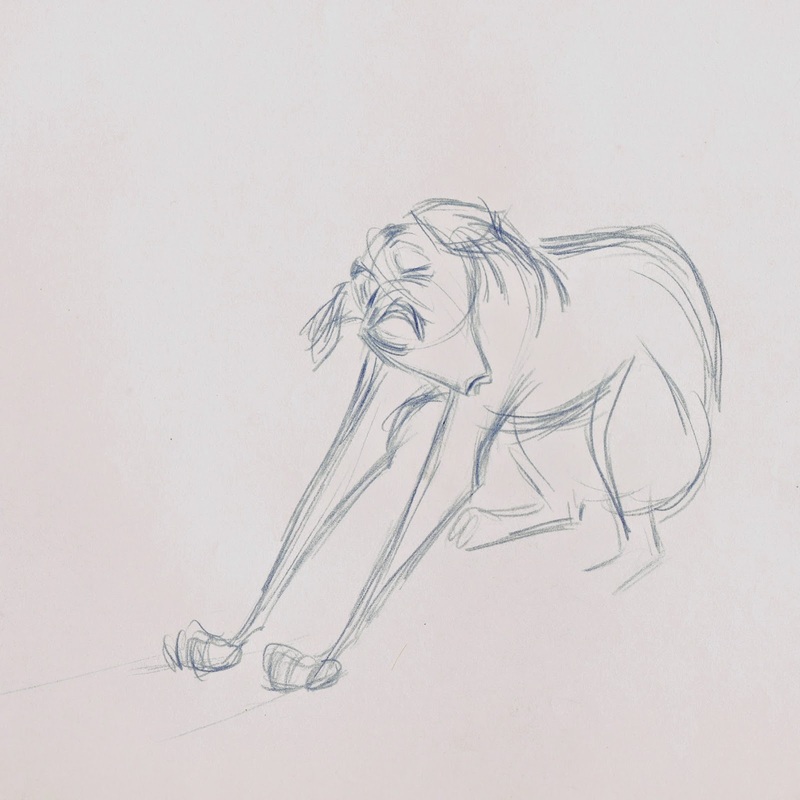 The first drawing is an Ollie rough, followed by a Milt drawing, as he clarifies forms and shapes without loosing the sentiment of the moment. 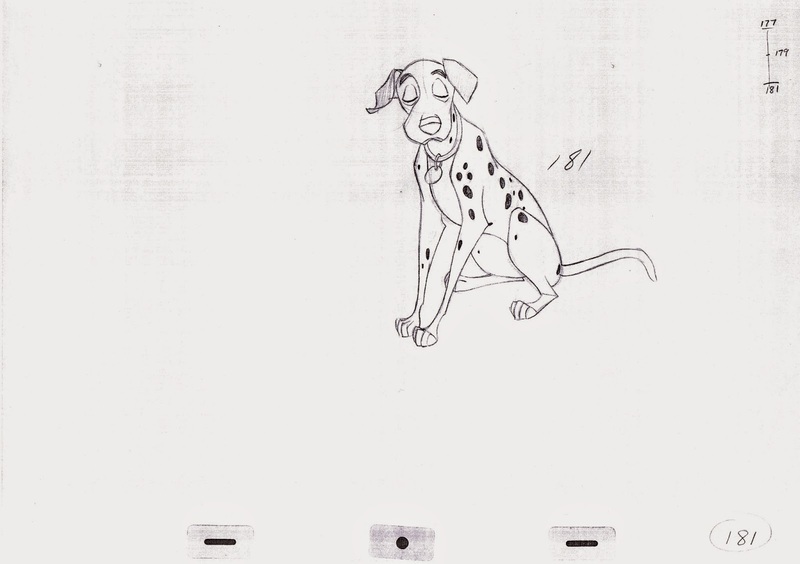 Here are a couple exploratory drawings from one of my all time favorite scenes. 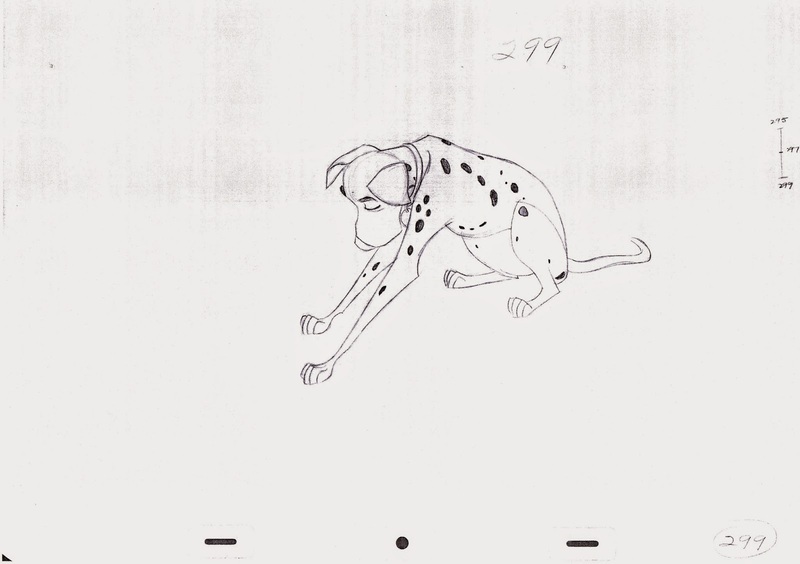 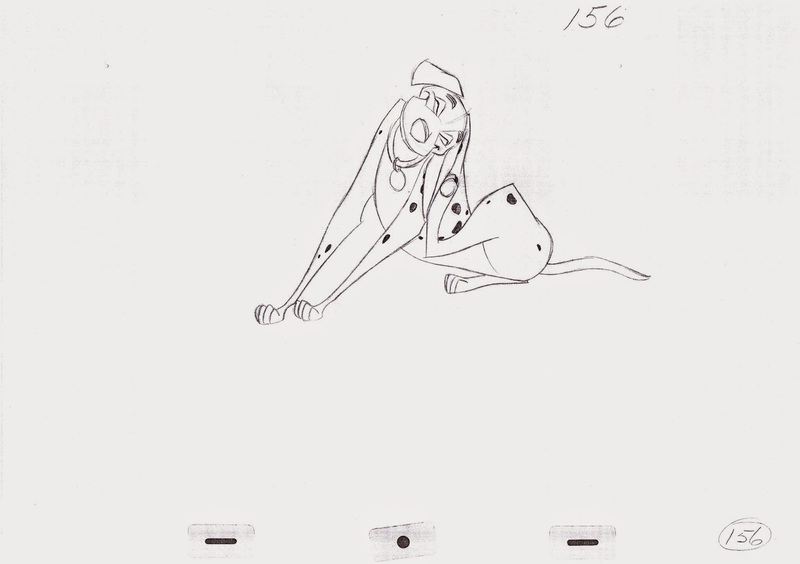 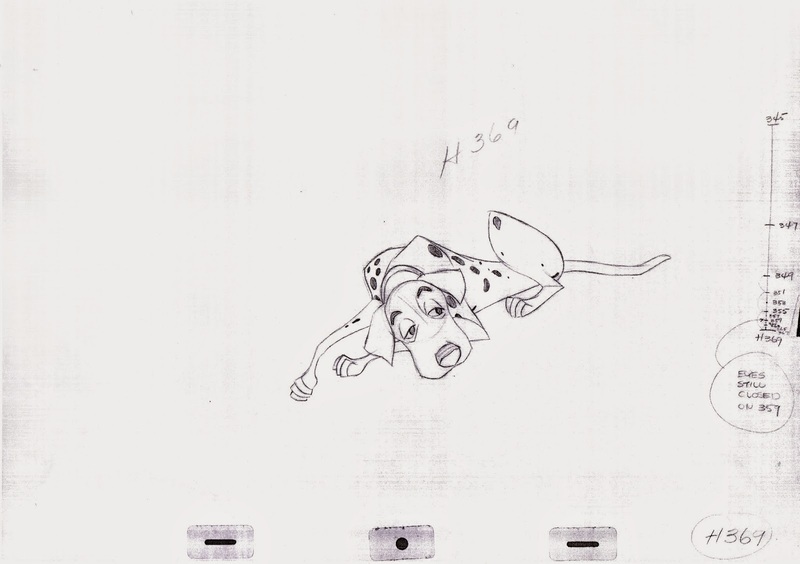 The rough above is a discarded animation drawing, probably rescued from Milt's trash bin by an assistant. 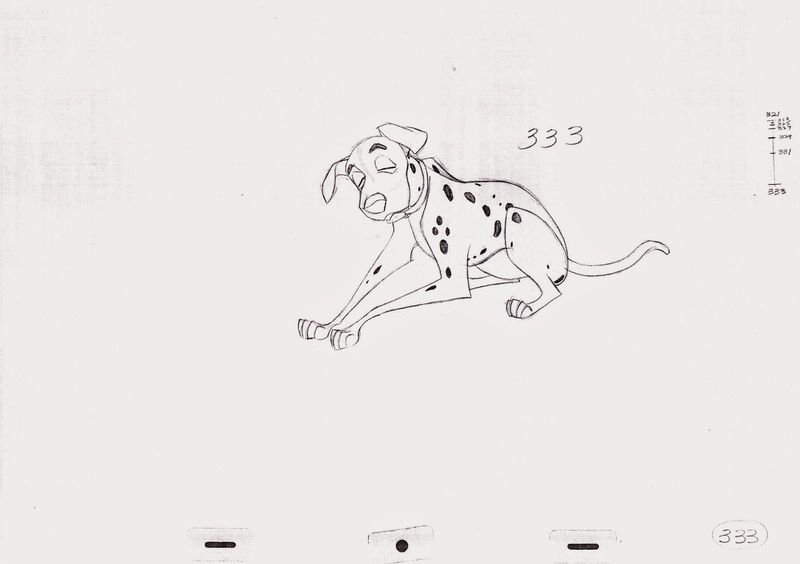 Milt goes very, very far here as far as graphic representation of this scene. 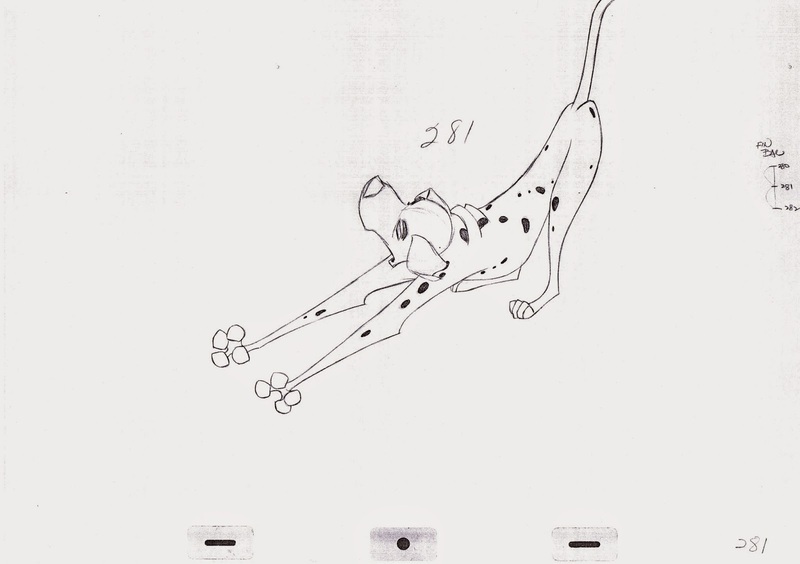 Razorsharp points and an intense balance of straight against curved lines make Pongo look like a Picasso creation. 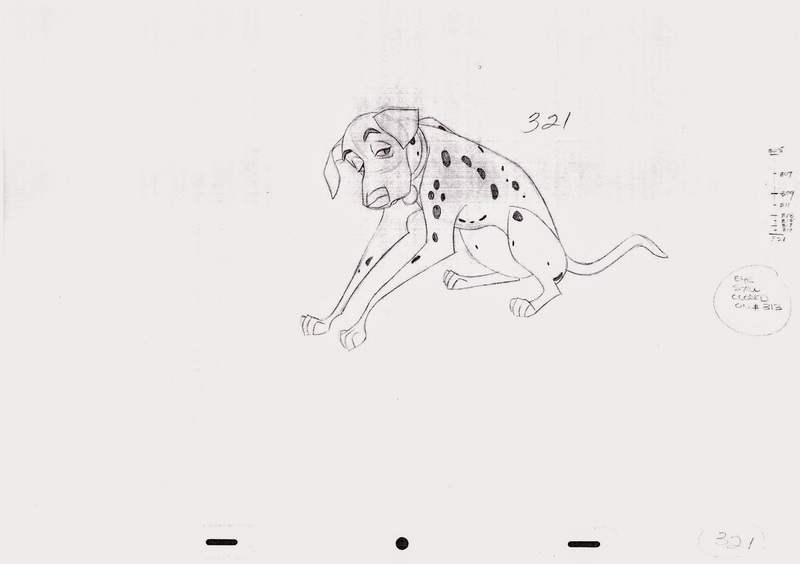 Yet anatomical correctness is never compromised. 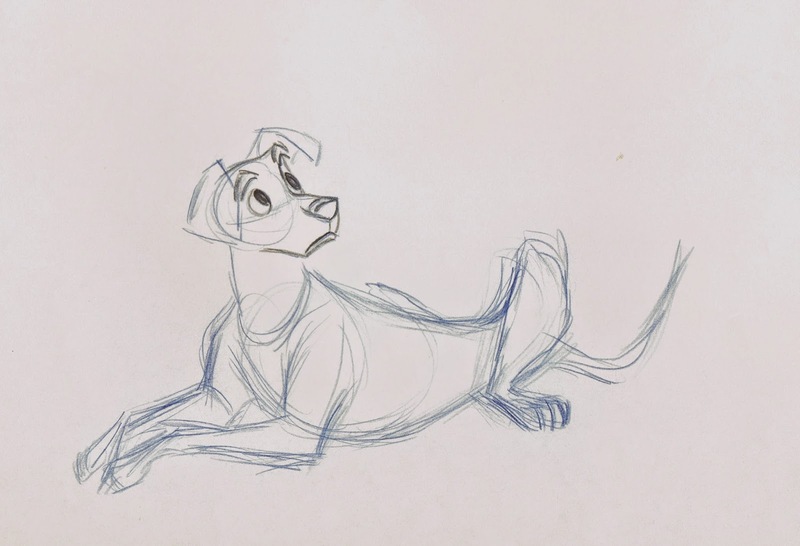 Even if some people don't appreciate such a stylized approach to Disney drawing, they buy into it because of the scene's weight and fluidity of motion. 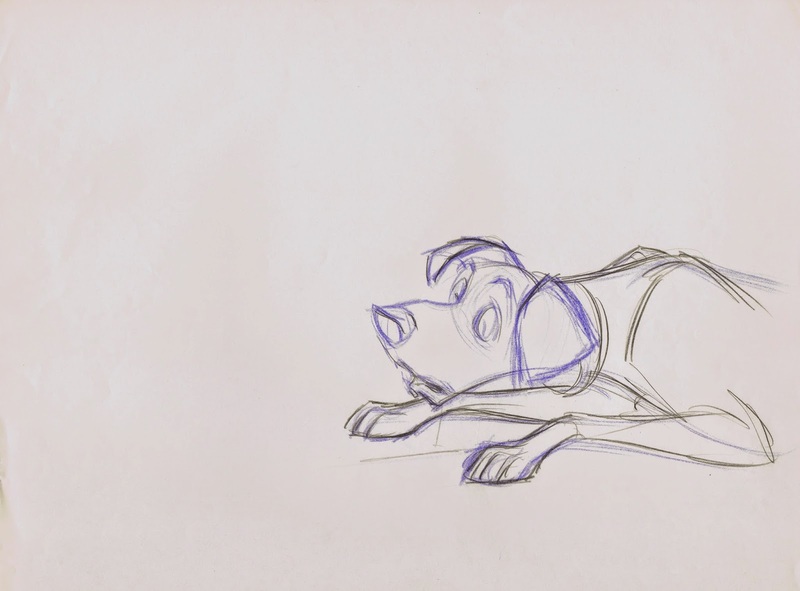 Not to mention the overall convincing emotions a dog goes through when scratching, yawning and collapsing on to a pillow. 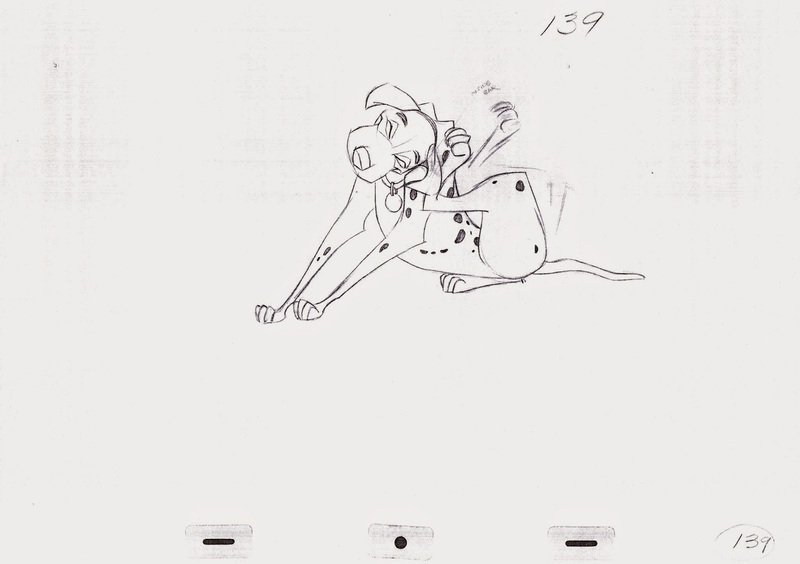 Just a few years earlier Milt had animated a similar scene with Tramp, as he wakes up inside a barrel near the train tracks. 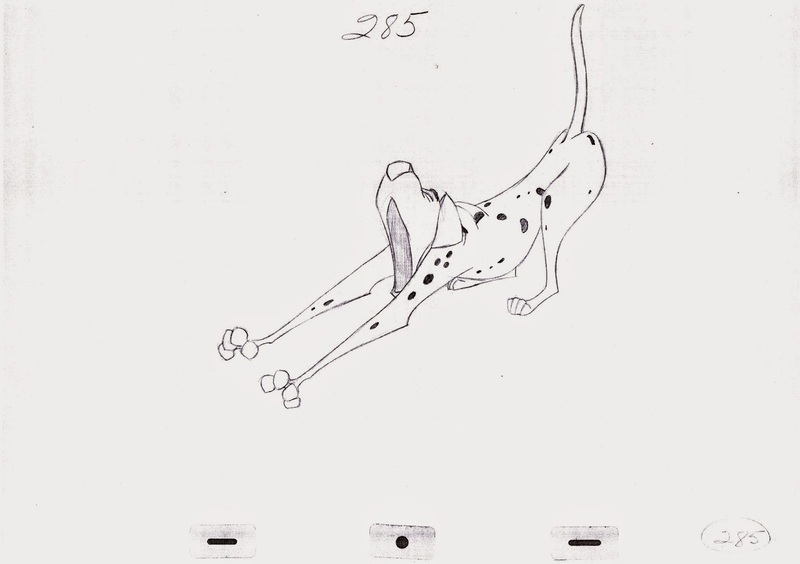 It was in Milt's nature to constantly challenge himself and try different ways to handle a situation that was somewhat familiar to him. 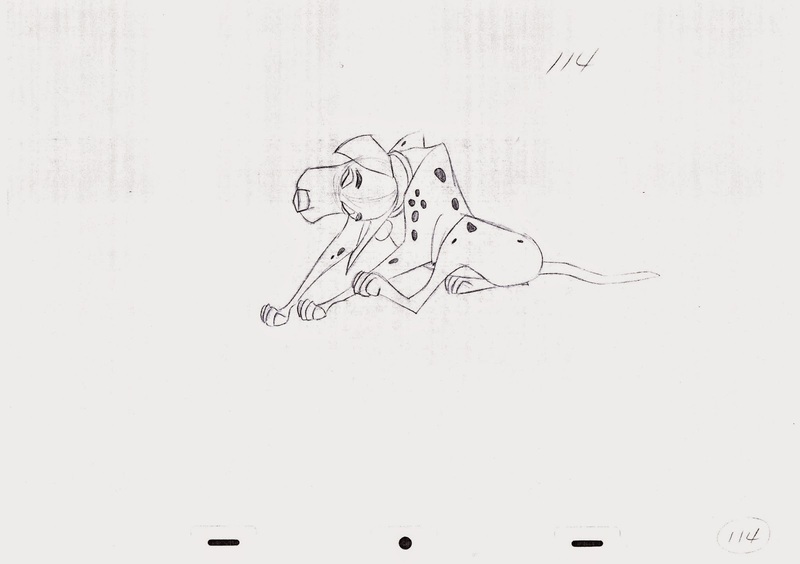 Animated sometime in 1960, even after so many decades this remains a MODERN animated masterpiece. 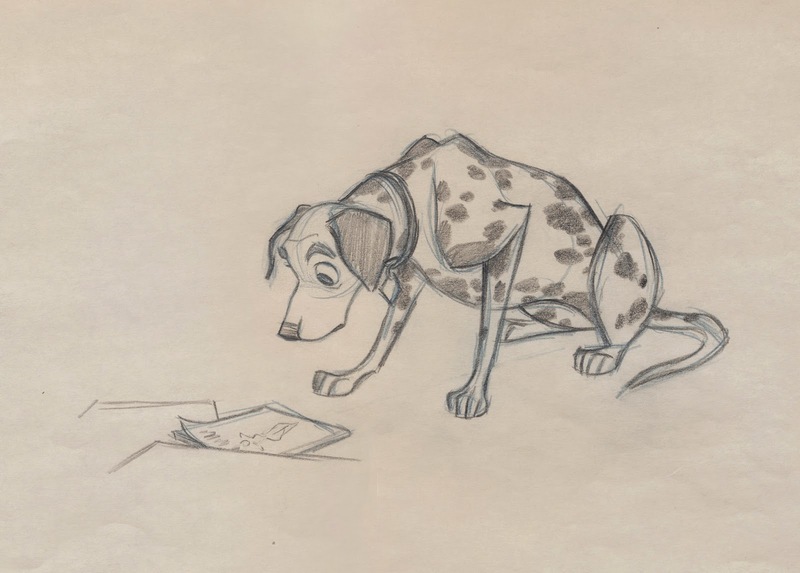 A gorgeous drawing showing Pongo examining the cover of one of Roger's magazines. 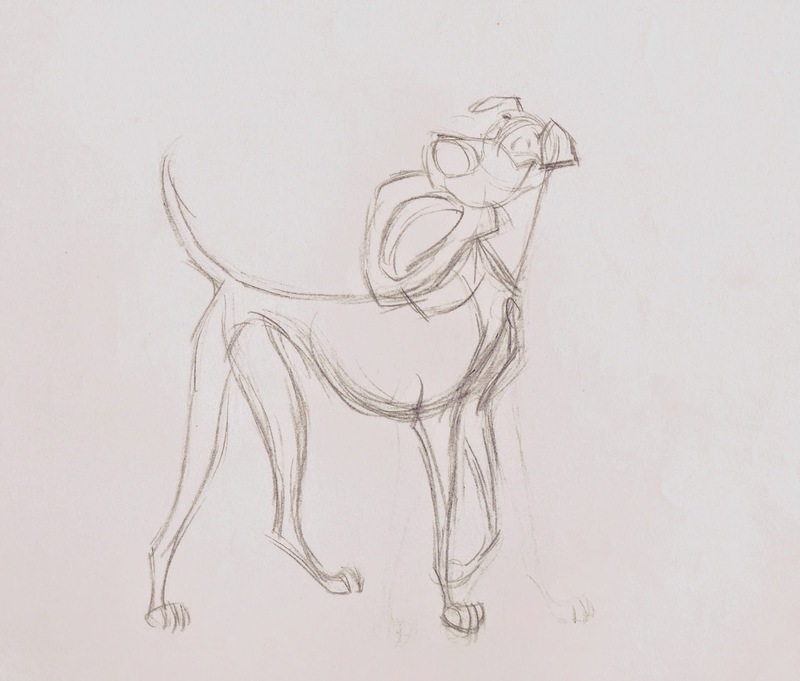 I love Milt's scribbly version of a pin up pose. 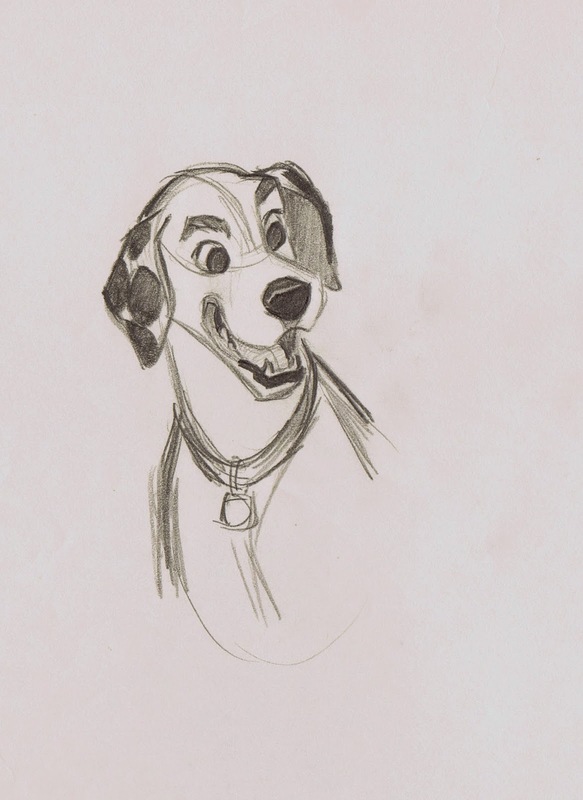 Thanks to my friend Wil for offering a scan of this sketch. 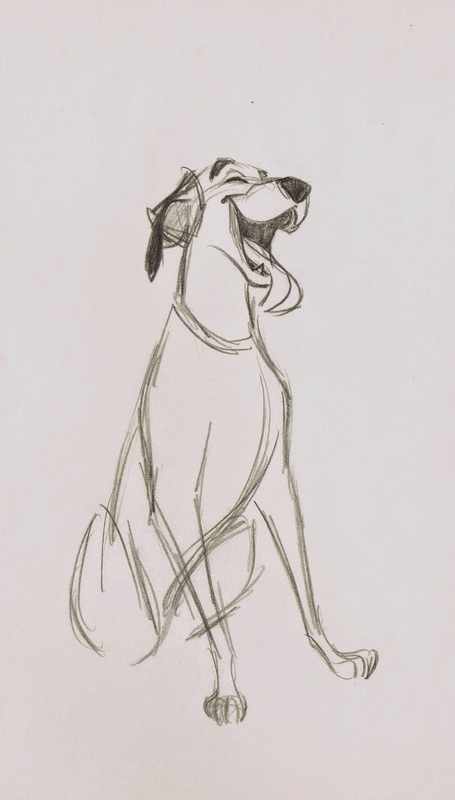 So here's to Walt Disney's 101 Dalmatians and the main character's voice actor Rod Taylor, who's charismatic performance in this animated film as well as in other movies enriched many people's lives.